Make sure the room is lit properly and is not too bright. Low light creates a good party atmosphere. Make sure the room is not too warm. If your guests are too warm sitting down, they will find it hard to dance and will sometimes leave the room to find a cooler area. Arrange with your venue to monitor temperature. Ask your band beforehand about the acoustics in the room. More than likely your band has played in the venue before and might have some very useful information to make your party better. Some venues have really bad acoustics that could spoil your party. People like to be where the bride and groom are so if they are on the floor that’s where people will gather, if they are in the smoking area or at the bar people will gather there. Big function rooms are impressive but small function rooms can really keep the party together. A large crowd in a small room can be great but a small crowd in a large room can sometimes be harder to create a good party atmosphere. Some venues have noise restrictions and time curfews that they may or may not make you aware of beforehand for residents staying in the venue or private dwellings close by. Your band and Dj should not be loud but a certain amount of volume is needed to dance. It’s your wedding party and your big day so make sure to check this. Before the band starts get your bridesmaids and groomsmen to get everyone back into the room for the first dance. People can get caught up chatting in another bar area or a smoking area. The party will get off to a better start if everyone is in the room. The time will fly on your wedding day so enjoy every moment, soak up the atmosphere and create great memories. This is the biggest day of your life, the day you dreamed about as a child, don’t miss a second of it. We know your wedding is one of the most important days of your life. We know choosing entertainment is challenging. Let us help you make an easy decision. 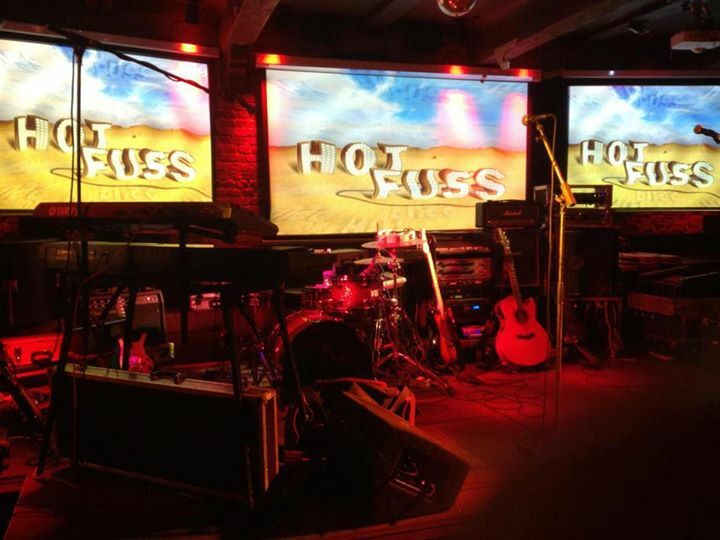 Hot Fuss band is one of the most professional, well established, and fun wedding bands you will find in the Wedding bands Ireland category. We play the length and breadth of the country and create a fun filled party vibe to cater for a variety of music tastes. Hot Fuss band has featured in Confetti Wedding Magazine, the Irish Times, RTE 1 TV, Sky entertainment and numerous radio stations. Let us work with you and share our experience with integrity towards your special wedding day. 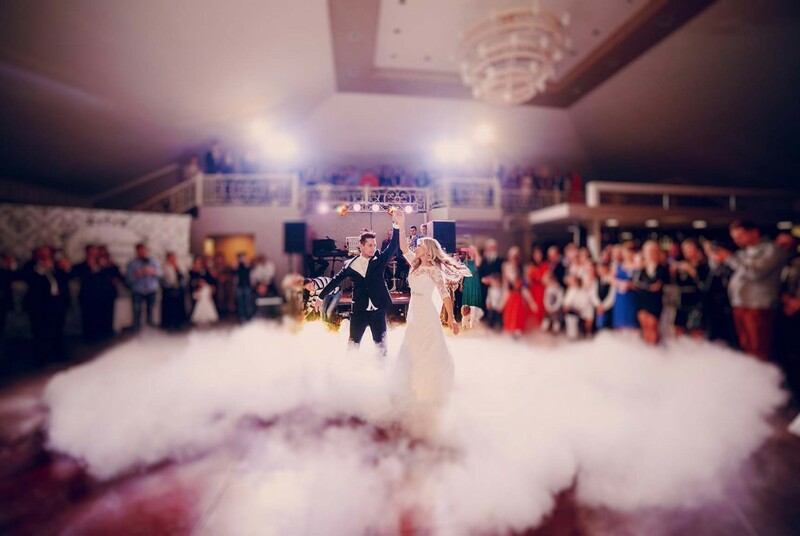 Hot Fuss is made up of a group of passionate musicians, who have played together as a group at 100s of weddings and who really know how to add that extra special enjoyment through entertainment. Your search for wedding bands Ireland may take days and weeks, come along to one of our gigs to hear us play live and have a chat with us about your requirements. Hot Fuss is the number one choice for weddings in Ireland. We are one of Ireland’s best cover bands and without doubt Ireland’s best party band. Our wedding set music list comprises of popular tunes and we are continuously adding to it. The set includes something for everyone from waltzes, jives, ceili, rock n roll, country, 70’s, 80’s 90’s, chart, pop and classic rock. 1. Does the band have wedding experience? Your wedding day is extra special, consider a band that are well used to entertaining wedding parties and groups. The group dynamic is important. An experienced band will be able to read a crowd. 2. Go to a gig – Listening and viewing a band is an important part of the decision making process. Seeing, is believing, hearing is believing also. 3. Professionalism and experience count for a lot. Make sure you look for a band with a level of professionalism you are comfortable with. 4. Do you like them? Likability is a big factor for consideration. Check out the bands website, speak to them at gigs, get in touch with the band via bookings or call them for a chat. 5. Make sure the band suit your taste and your wedding guests taste. Consider all of your guests and what they might like. A good mix of wedding songs from First dance to 60s,70s,80s,90s,00s, current chart toppers, jives, waltzes, rock etc. will entertain all. 6. Flexibility – find a band that are flexible with start times and set up. Delays happen from time to time, ask how flexible your wedding band will be. 7. You may need a DJ or day after music. Choosing a band who can offer you this is a bonus. To discuss your wedding requirements get in touch with us today on 086 8225296 or send us an email to manager@hotfussband.com We look forward to hearing from you. Now if you are planning your wedding or special event we would love to hear from you and we are also offering a special free gift to those who book their wedding for next year over the next few weeks. We have a limited amount of dates available for 2016. So get in touch today on manager@hotfussband.com and mention the “special free gift”. We have played for some of the biggest and more intimate wedding parties the length and breadth of Ireland and have years of experience. Wedding bands Ireland? Where do you start? You want an experienced professional lively band with a set list to suit all ages. Hot Fuss is the number one choice for weddings in Ireland. We are one of Ireland’s best cover bands and without doubt Ireland’s best party band. We have played for some of the biggest and more intimate wedding parties the length and breadth of Ireland and have years of experience. Wedding songs are difficult to choose. There is a lot of Irish Bands out there. Hot Fuss understands your wedding is an extra special day for you. We value this by showing integrity and providing a great musical service and sharing our experience with you.